We could settle right into this comfy, lofted reading room! 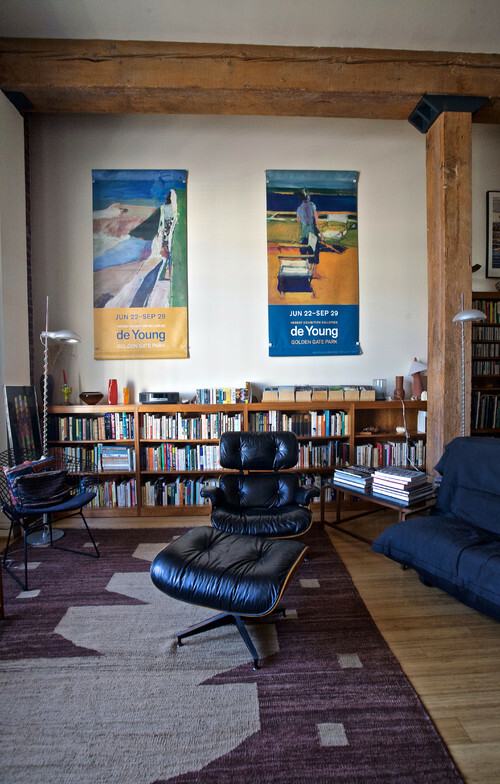 An authentic Eames Lounge Chair and Ottoman, with Richard Diebenkorn street banner from the de Young Museum in San Francisco define the space. Thanks to a San Francisco customer for sharing.